The BK5’s compact, lightweight design enables it to equally be integrated into individual fire designs for indoor and outdoor spaces, both residential and commercial. 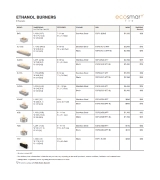 The most popular of the XL Series ethanol burners. Created to satisfy demand for an elongated flame; the key feature of many stunning tailor-made indoor and outdoor fires worldwide. Its sleek lines and minimal zero-clearance creation ensure it’s a principal design tool, rather than an afterthought. XL700 has provided design inspiration for a myriad of custom-made fires. It may be compact in size, but this 5L ethanol burner effectively delivers a beautifully long, lasting flame. 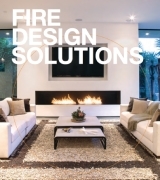 This fire can be easily integrated into a horizontal, tailor-made setting. A scaled back version of the XL Burner – the ideal solution for tailor-made installations where space is at a premium. Don’t be fooled by its size – the XS340 burns for up to six hours. 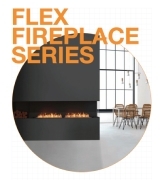 A high performance, easily integrated ethanol burner for individual fire designs. The AB8 generates a beautiful larger scale flame. AB3 is a compact ethanol burner that underscores the versatility of design. 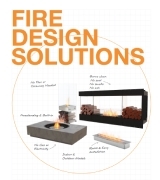 It’s the core of many freestanding, portable designer indoor and outdoor fires. Cleverly designed with versatility and space in mind, the Firebox 650DB ethanol fireplace features a double opening that allows you to see the golden flame from two different rooms. A simply but beautifully designed ethanol fireplace. Small in stature, the freestanding, portable Mini T is the robust solution for illuminating spaces and creating ambience. A fireplace with a contemporary twist on the traditional campfire, designed by acclaimed designer Hiroshi Tsunoda. Stix consists of varying-sized tubular stainless steel ‘sticks’. The most compact of the Lighthouse Series, the Lighthouse 150 is designed to create a benchtop design statement or to be the focal point of an entertaining or living area – outside or in. Whether standing alongside its small and big brothers from the Lighthouse Series or as a standalone feature, the Lighthouse 300 fireplace provides year-round ambience and warmth. Slightly smaller in stature than the Lighthouse 900 fireplace, the 600 combines slender design with durable construction. Fashioned from weather-resistant concrete, the Mix 850 fireplace is the perfect addition to myriad outdoor environments. Crafted in the outdoor ‘fire pit’ style but with many unique differences, the all-weather MIX 600 will be the centre of attention at every gathering. A flexible fire pit available in clean burning ethanol. Make Base your centre for relaxation and entertainment. This multi-function table gives you the best of both worlds – a coffee table and fire pit combined. Blending the simplicity of an outdoor fire pit with the functionality of a standalone table, Wharf fire table adds style and practicality to any architectural environment. Elegant, simple, and ever so functional, the Martini Fire Table is perfect for entertaining.